Comments are English words; we use comments for Code documentation. ‘i) Launch the Application and Login. d) To explain the resources usage. > VBScript doesn’t support Explicit declaration of Data Types. 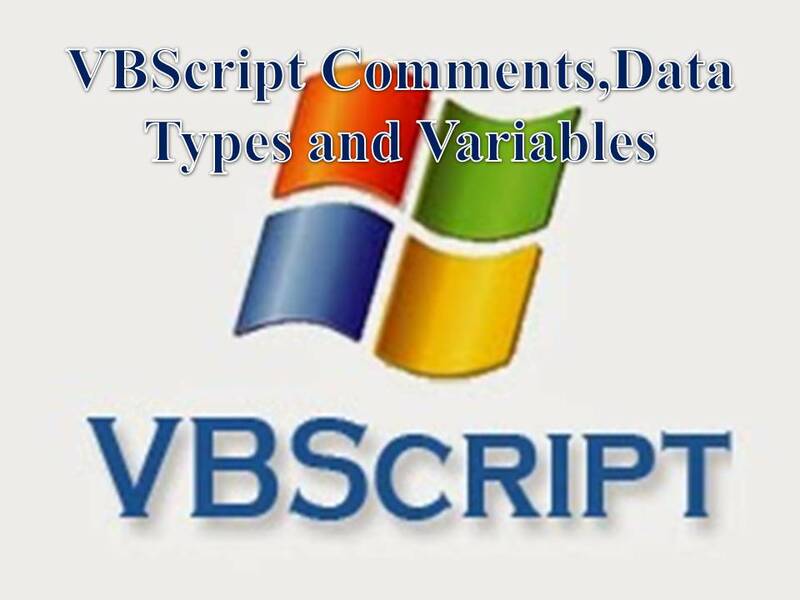 > In VBScript only Data type is Variant, It can hold any type of data, based on usage of data VBScript internally considers Data sub types. > Convert the Data from one sub type to another. Convert the Data from one sub type to another. Note: If we read data then VBScript considers the data as String type data. In order to perform math-metical calculations, we need to convert the data. > Using conversion Functions we can convert the data. ‘We can’t convert Alfa bytes into Integer or double type. A named memory location to store the data. > Variables store in Primary Memory (RAM). > using either Public or Private or Dim statements, we can declare Variables. i) Variable names should start with Alfa bytes. ii) Variable names should not contain embedded periods.